When it comes to an excellent workout, it's all in the bag...the Everlast Free Standing Bag, that is. The best thing about this bag is that it wont cost you an arm and a leg. 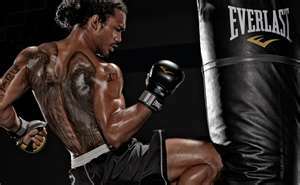 Why train with the Everlast Free Standing Bag? If you are really serious about your MMA training, you will need a heavy bag. "A heavy bag workout is priceless," states Martial Arts trainer, Bo. "You will get a wide diversity of benefits out of the bag like technique and cardio." Unlike sparring with a partner, the heavy bag allows you to practice striking at full force, over and over again without worrying that you will hurt your opponent. The repetition is great for your stamina and great for your heart and lungs as well. It is a more complete workout than jogging or jumping rope and can be used for great interval training too. The same is true with accuracy. Working with a heavy bag is better than with a partner when it comes to getting down that perfect technique. You can keep striking and punching that same target area without fear your opponent will finally get tired of it and punch you back. The heavy bag can hold up to all you can dish out. You can pack power punches over and over and still your bag will be standing unlike a partner. The only one who just might get hurt is you so do be sure to wear Bag Gloves, wraps or even Gel Gloves when punching the bag. Many bags are filled with sand or water, which means it can feel rock solid. So do yourself a favor and consider using proper protection. So what is so special about the Everlast Free Standing Bag? Along with being cost effective, Everlast promises a professional work-out, professional results! 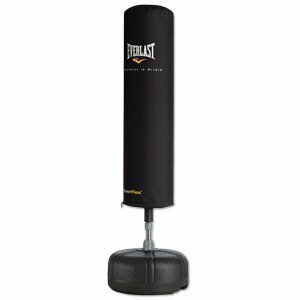 Everlast has several standing bags to choose from and all are well built, quality bags you will get results from. Which one to choose will depend on what you are specifically looking to accomplish from the bag. Pictured at the top of the page, the Everlast Power Fitness Stand is a high density plastic base that is easily filled with water or sand for stability. The Flexible Neck allows the bag to absorb powerful punches while reducing base movement so you don't have to hold back during your workout. In addition, this Everlast Free Standing Bag is constructed with closed cell foam (C4 Foam) technology in the bag provides for durability and hand comfort. 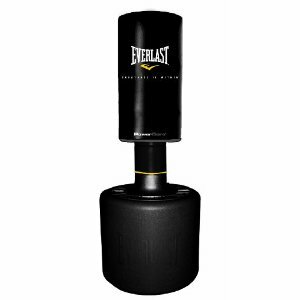 Being a full size heavy bag, it is perfect for full power punches, kick, knees, and elbows. It weighs approximately 360 lbs. when filled with water and stands 76” tall and also has a removable foam collar for added protection. If you are a beginner or want to just get in shape, this freestanding bag is ideal for you. Build agility and endurance with this the Cardio Strike Bag from Everlast for a minimal investment. The bag is made of a high-density plastic base that fills with water or sand for stability that rebounds when you punch and strike. The inflatable strike surface is constructed with a sturdy synthetic polycanvas cover over an inflatable air bladder. Weighing in at 70 pounds when filled and standing 63 inches tall, it is adjustable and comes with a foot air pump. Because it has a durable spring neck and EverFlex flexible collar system which absorbs substantial impact without base movement, you will find that it provides a fantastic workout by allowing for lots of movement and reaction to each punch. If you are looking for a low cost freestanding bag that offers great aerobics, this is worth checking out for sure. This heavy bag is good for beginners as well. It's about 250 lbs. when filled with water and is 65” tall when adjusted to the highest setting. A power transfer ring minimizes impact and reduces base movement when training. It has a high density plastic base is easily filled with water or sand for stability and packs a high grade shock absorbing foam with Nevatear outer layer for lasting durability. The PowerCore is somewhat similar to the Wavemaster by Century. If you are a seasoned pro puncher, this bag may not be big or sturdy enough for you but if you want a very economical bag and are not looking for a large one, this one might just fit the bill. Heavy Bags are very important and helpful for training as mentioned above but hanging bags can certainly be a hassel, especially if you rent a house or live in an apartment where you are not allowed to hang the bag. Of course you always have the option to hang it from a stand but then there is the issue of having enough room. That is why a free standing bag is such an awesome invention. It is convenient! Another feature I love about a free standing bag is that you can pack it up and take it with you. Whether you are going on vacation or just over to workout with a buddy, simply empty the sand or water and you are good to go. Because the Bag is made by Everlast, you know you are getting a product that is of excellent quality. Just the name Everlast is synonymous with boxing. You would never guess that the company started out as a swimwear manufacturer in the Bronx in 1910 produced by a seventeen year-old swimmer named Jacob Golomb. The swimsuit production did a belly flop but the name lived on. 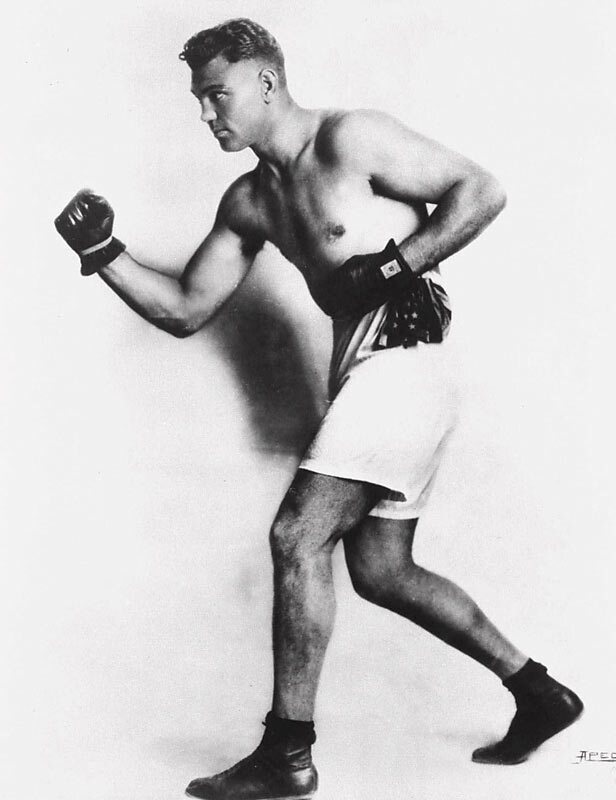 Golomb turned the company into a full line sports equipment store and hooked up with Professional Boxer Jack Dempsey who showed him the ropes in Boxing. Dempsey talked Golomb into making custom Boxing Gloves for him. Golomb did and Dempsey won the World's Heavyweight Championship in them. Thus began the legend of Everlast. Everlast prides itself on being built on a brand heritage of strength, dedication, individuality, and authenticity. It is a vital part of the lives of many champions in all arenas of sports. 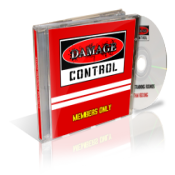 Sold in over 101 countries and 6 continents, the company is based in Manhattan. Making a name for itself since 1910, Everlast is the world's leading manufacturer, marketer, and licensor of boxing, MMA, and fitness equipment and in today's competitive market, that is quite an accomplishment. Today Everlast holds its own in not only the sporting goods industry but apparel, footwear and accessories too and has quite a fan following beginning with Dempsey. Middleweight Pro Boxer Sugar Ray Robinson sang praises for Everlast as well as the Undisputed Middleweight Champ Jermain Taylor and UFC Heavyweight legend Randy Couture. Current Light Heavyweight Champion Jon Jones holds Everlast as his brand of choice as well. as does Pro Boxer Miguel Cotto and two-time Golden Gloves winner and Biggest Looser fitness trainer Cara Castronuova. In short, the bottomline is that to seriously train for MMA, you will need a Heavy Bag and you will certinaly want to get a one that is of excellent quality that will hold up. So why not rely on the one that is tried and true because when it's all said and done, the Everlast Free Standing Bag is one stand up piece of equipment.